Whilst we hear that Metropolis Digital Media Limited (and the TXI Media pod) have seemingly given up – no doubt because they underestimated the size of the task in hand, we heard this week that another entrant, in this case, BrightMove Media, a company only established in December 2012, has high hopes for their LED based TaxiCast product. It it looks familiar to you, then regular readers need look no further than EyeTease Media‘s own iTaxiTop offering. 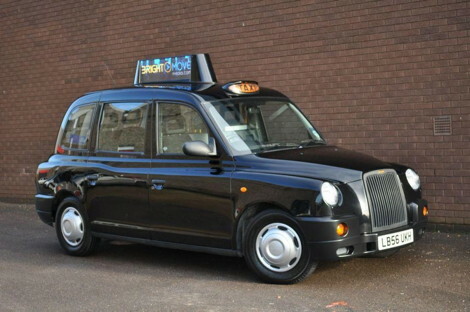 The difference between the two (apart from several years head start and lots of TfL accreditation) is that TaxiCast is LED based whereas EyeTease is LCD. In our opinion, TaxiCast (a p5 or p6) LED solution spread over an 80cm x 24cm creative canvas is going to be ‘cheap and cheerful’ at best. It’s likely that the resolution and image quality will be poor (note that we haven’t seen it ourselves) and there will surely be significant limitations on messaging capability. I am not sure that brands will find it particularly desirable. This entry was posted on Thursday, February 7th, 2013 at 15:43 @697 and is filed under DailyDOOH Update. You can follow any responses to this entry through the RSS 2.0 feed. You can leave a response, or trackback from your own site.